The alternate rising and falling of the surface of the ocean and large bodies of water such as bays and gulfs that are connected with the ocean. A craftsman who creates items by heating, cutting, and shaping iron or steel.. 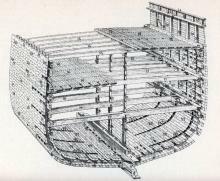 The 1880 census of manufactures showed that the average wood shipyard had $6,200 of capital investment. Read more was founded. On Penobscot Bay, investors chose not to build in iron. Thus, the wood shipyards kept on doing what they knew how to do best, for as long as possible. The transverse measurement of a vessel at its widest part. The white oak tree is found from Maine to Minnesota and south to Florida, but is most common in Middle Atlantic states. Northern red oak is native to the eastern and midwestern United States and Canada. A strong durable pine native to the southern United States. 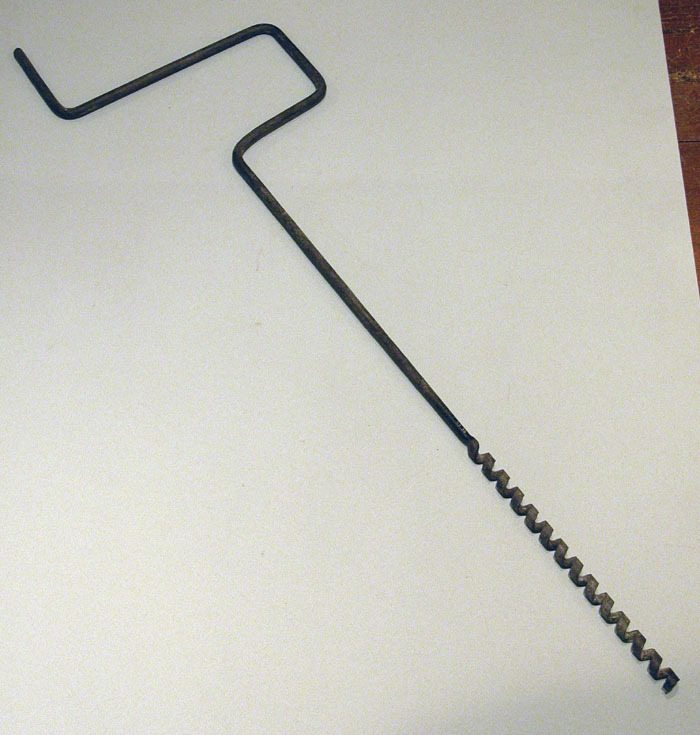 Commonly pronounced "trunnel" or "trunnels"; wooden spikes or pins, often made of locust wood., or trunnels, fastened planks to the frames and the frame pieces to each other. Naturally right-angled pieces of wood that fit at the intersection of timbers to strengthen the joint. An evergreen, coniferous tree related to pine., both from the west coast. These woods have the advantage of being bendable without breaking, an important characteristic of masts and other spars. A craftsman who creates items by heating, cutting, and shaping iron or steel. was sometimes part of the shipyard operation or the builder might contract work out to an independent blacksmith. 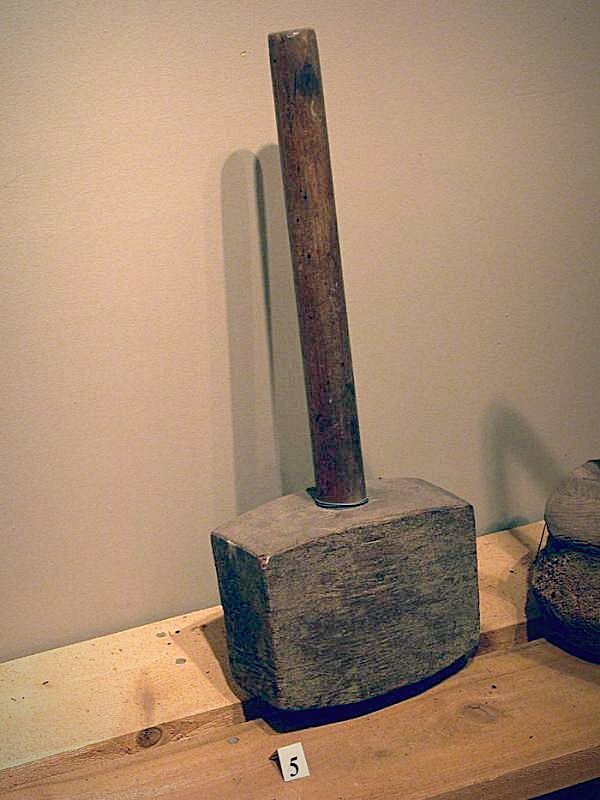 A tool like a hammer, but with a wooden head.. Not until late in the nineteenth century did powered saws and other tools become common in larger shipyards. Workers typically earned $1.50 to $2.50 per ten-hour day. 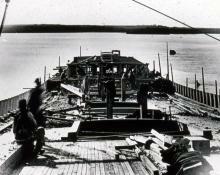 Shipbuilding was seasonal, especially in smaller communities: most work went on between fall and spring. 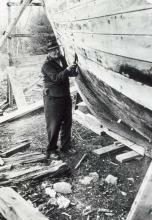 By the end of the nineteenth century, reduced demand for ships and consolidation of wooden shipyards meant that shipbuilders might find work only 8 or 9 months of the year.